Travelling with kids can be rough, as any parent knows. It’s lovey to see them haring around on the beach but less lovely when they’re bored and asking the question you thought was a cliché: “Are we nearly there yet?”. But travel you must and holidays teach your kids more about themselves than a year at school, so you have to go. 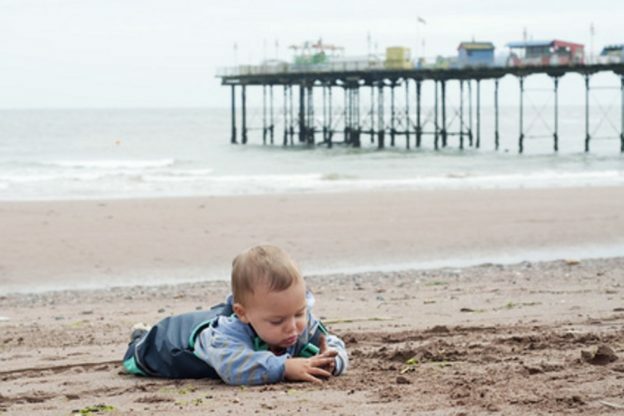 You’ve chosen Devon (a fine choice), so how to do it best with the kids in tow? Even if it is just a day of relaxing on the beach with a good book, you need to plan for it. Uncertainty really upsets kids (had you noticed? ), so if you can say “this is what we’re going to do today”, you can give them the space not to worry and to enjoy themselves properly. Good planning involves everyone who is taking part. So ask the kids what they want to do? Inevitably, there will be unhelpful answers like “stuff”, and “find a dragon’s egg”, but given the wealth of stuff you can do in Devon, they should be able to find something they want to do on every day. But what are the best options? Surfing in Devon is cool. Nobody can argue with that. It’s also possible all the way up and down both Devon’s coasts, so you can easily slip a day or two’s surfing into your itinerary on your way to and from other places. Devon has some of the best surfing schools in the country, so if the kids want to learn, there is no better place. Look for the International Surfing Association badge, schools with it will get your kids surfing in no time. Of course, you can join in, or you can pass out exhausted on the beach while your little ones learn to surf in safety and style. 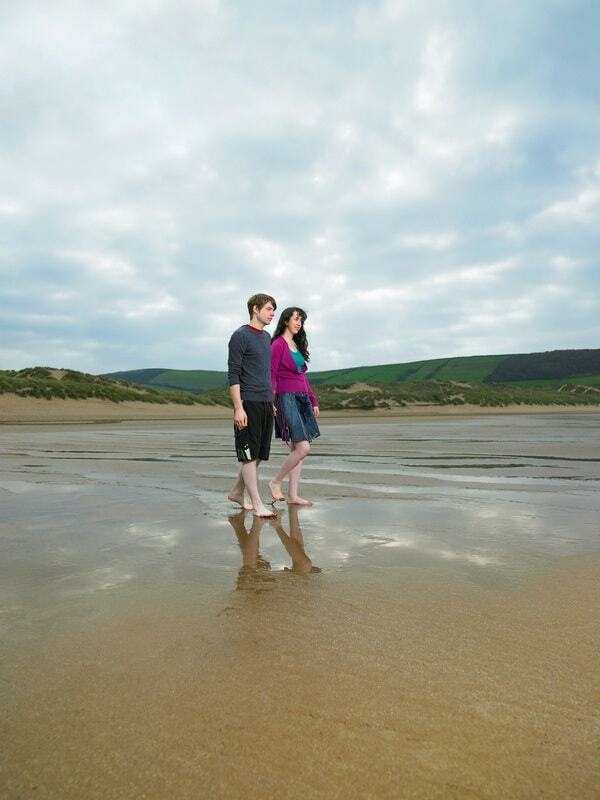 If your kids aren’t so into surfing, they can enjoy the scores of beautiful beaches that dot the coasts of Devon. North or south, you’ll find small coves, huge stretches of sand, picturesque inlets and smuggler’s caves. Pack a picnic and a few quid for an ice cream and you have the perfect recipe for adventure, relaxation, and fun for everyone. It is hard to go anywhere in Devon without stumbling on the ruins of some once great castle or fort. Usually, they are very beautiful. Most of them have tours and guides you can hire, or you can explore them by yourself. Most sites have been made safe, so you can relax as your kids rampage around pretending to be Knights of the Round Table. As a cheap way of getting some education into their brains while on holiday, not much beats a spot of archaeology and adventure in a castle. The south coast of Devon is particularly good for sailing, with a number of prodigious sailing schools and hire companies where your kids can learn the ropes or hop in and sail along some of the finest coast in the world. The Jurassic Coast is one of the best spots in the world for amateur fossil hunting. Watch your kids’ minds be blown as they uncover a trilobite or dinosaur bone. Tours and guides are available but are popular, so you might need to book ahead. The Devonshire coast has many fine walks for little people. You can join the UK coastal path that goes round the entire mainland or take a walk inland. Paths and bridleways are clearly marked and their difficulty for children is easy to find online. There is an enormous range of landscape to explore, from the bogs and marshes of Dartmoor to the north to the rolling hills of the southern downs, with ancient woodland, picturesque villages, and prehistoric stone circles and monuments inbetween. The history of Devon goes back thousands of years. The Devonshire and Cornish people used to speak a different language to the rest of the UK and their history reflects this difference. Kids will love the sense of the ancient past that is still such a part of the landscape of Devon. Look for stone circles, menhirs, and celtic crosses; ancient forests, towns started by the Romans, sites of battles and Viking invasions. Everything to inspire a young history buff. Towels, spare underwear and socks (for everyone), toothbrushes and toothpaste, sandals, sun cream, wet weather gear, wetsuits and/or sun suits, snacks, spare change for the parking meters, sunglasses, hats, mobile chargers, batteries and chargers for their entertainment devices, extra memory cards for cameras and phones, and swimming costumes. Good luck! This entry was posted in Things To Do In Devon and tagged kids entertainment on May 29, 2018 by admin.